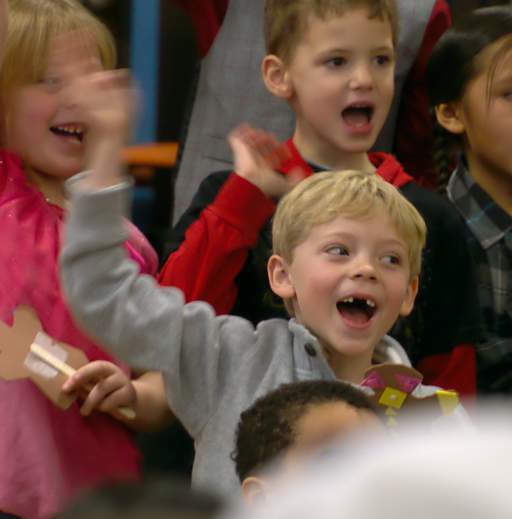 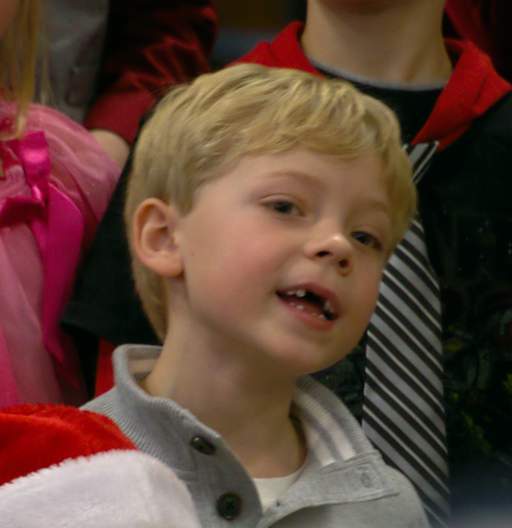 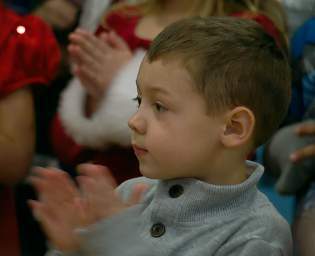 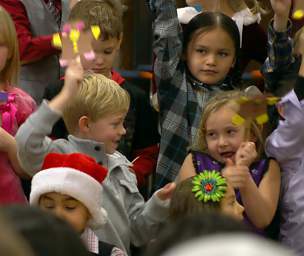 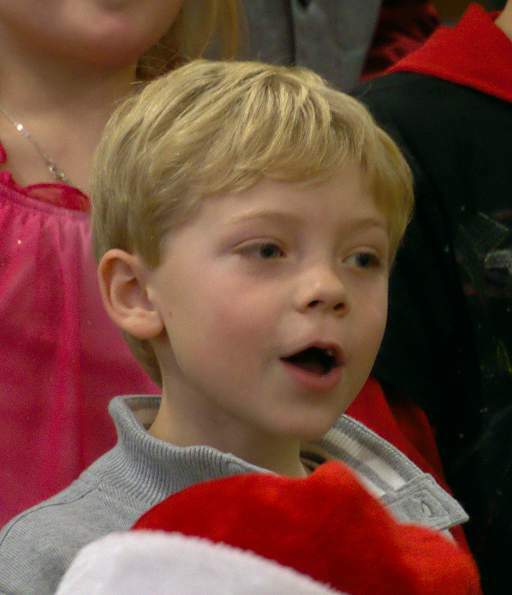 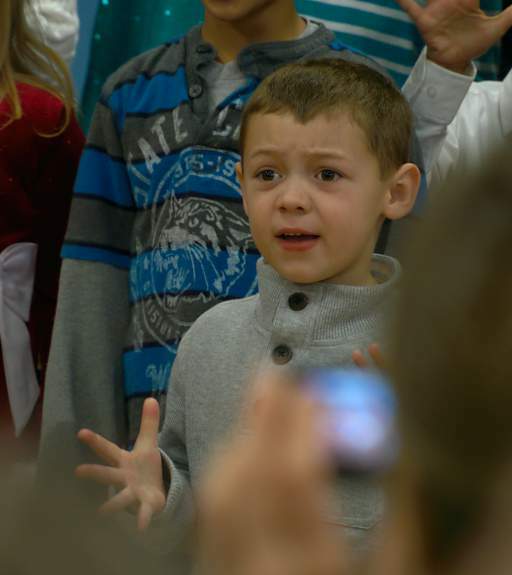 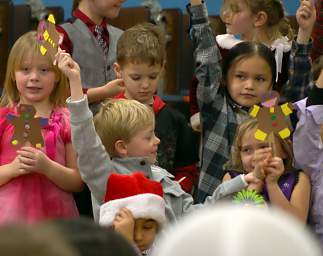 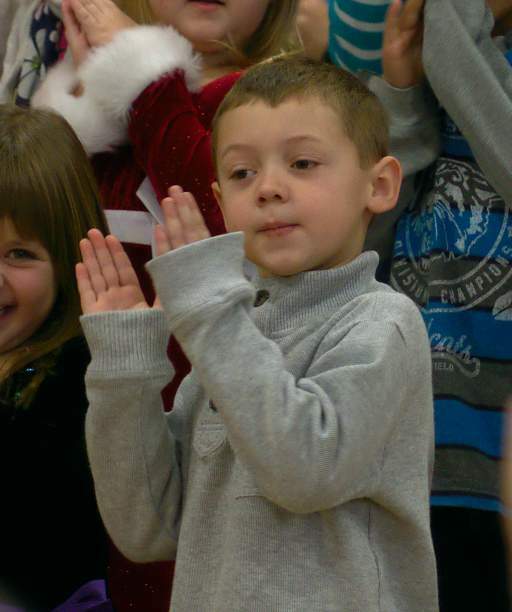 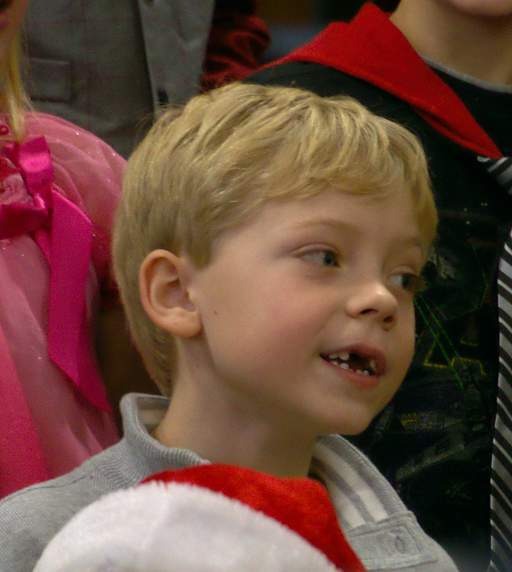 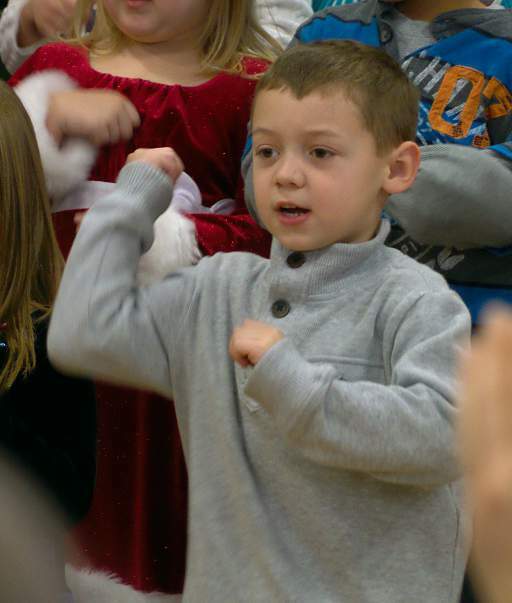 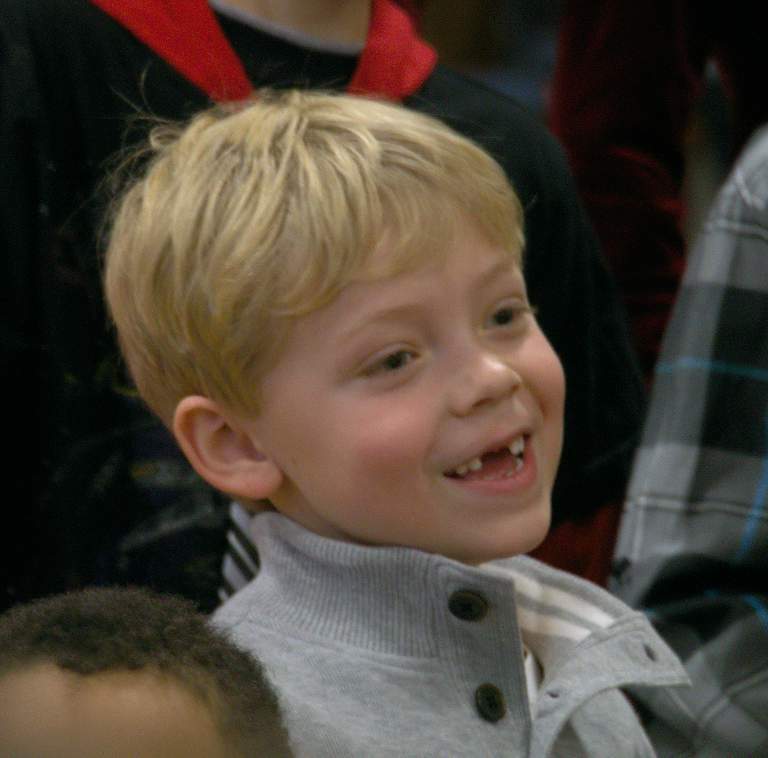 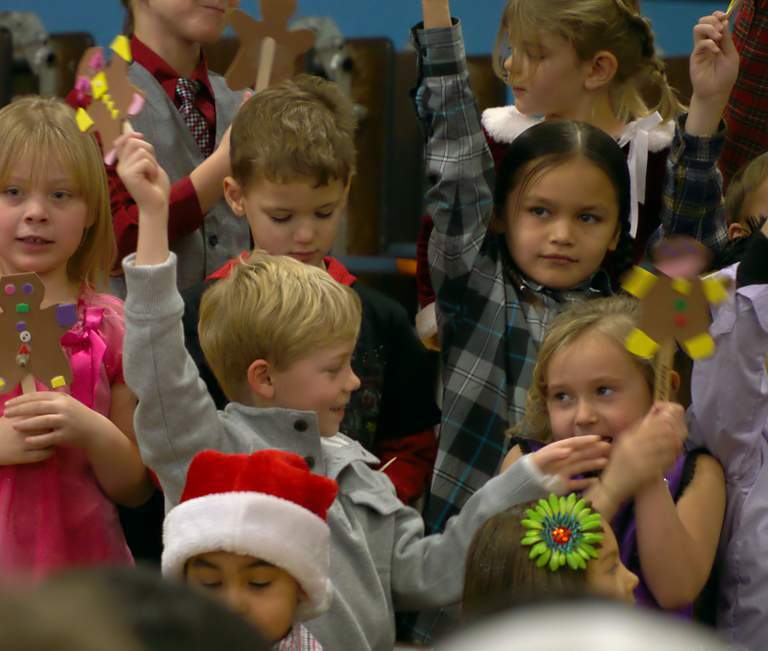 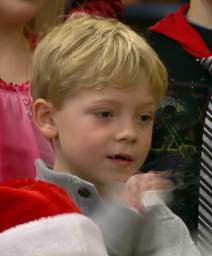 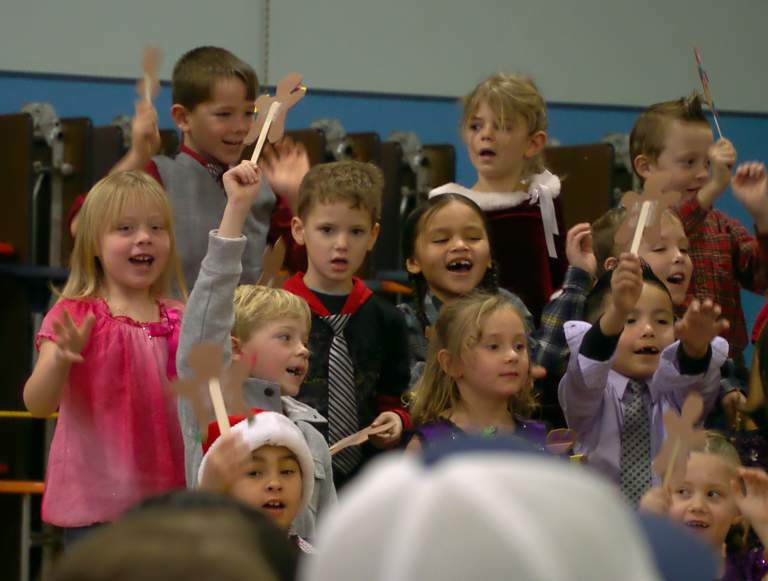 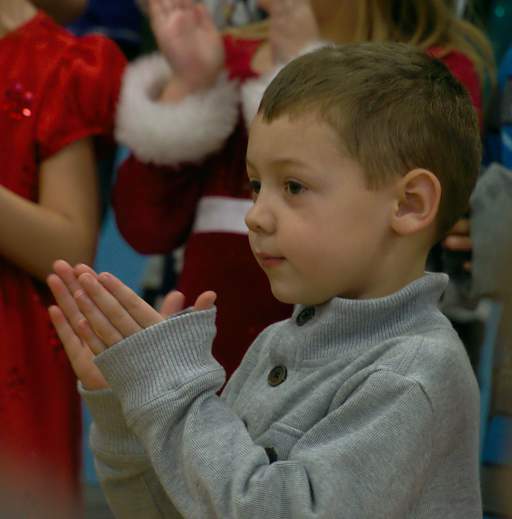 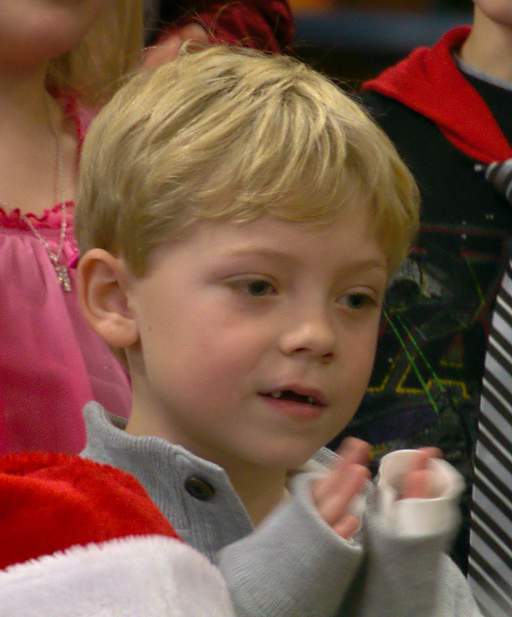 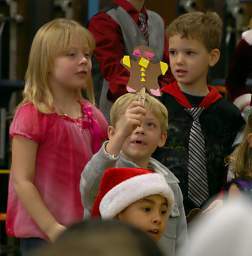 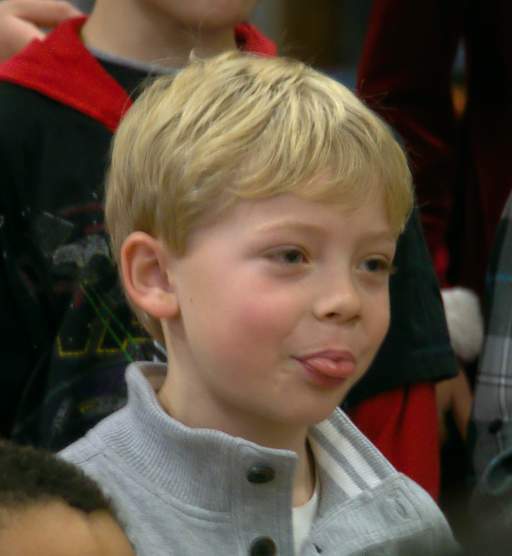 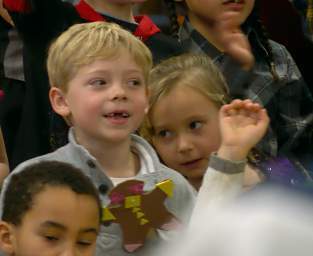 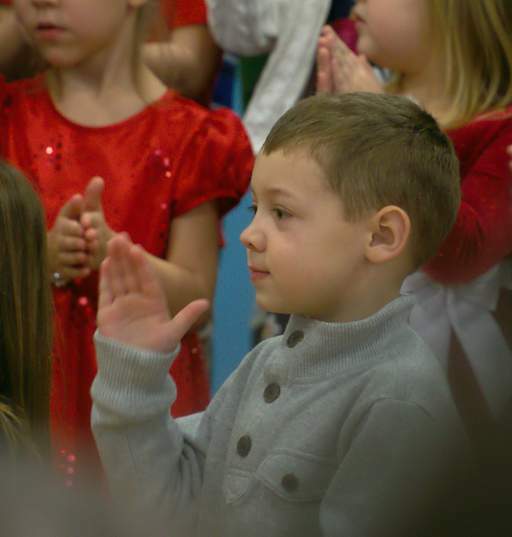 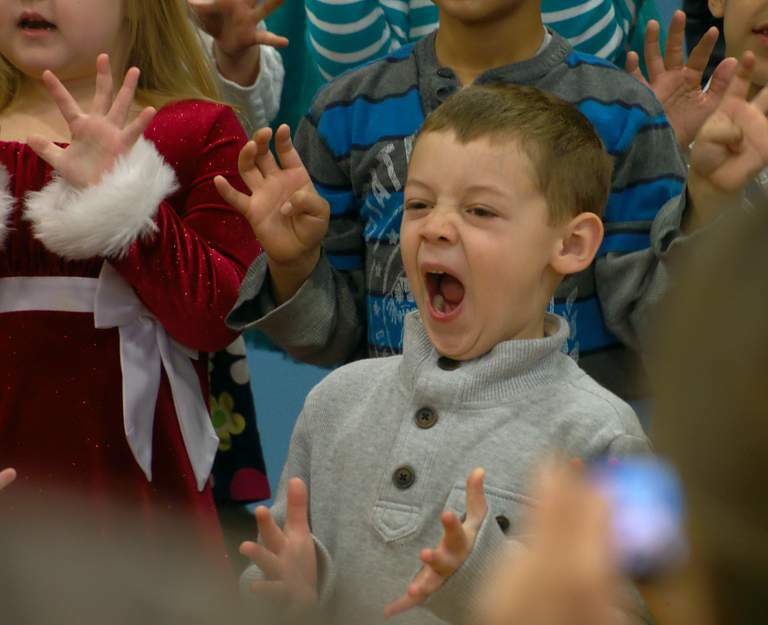 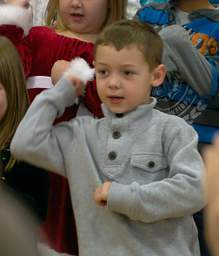 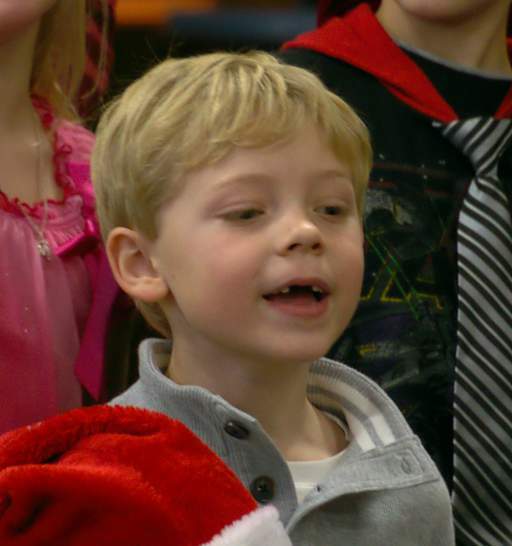 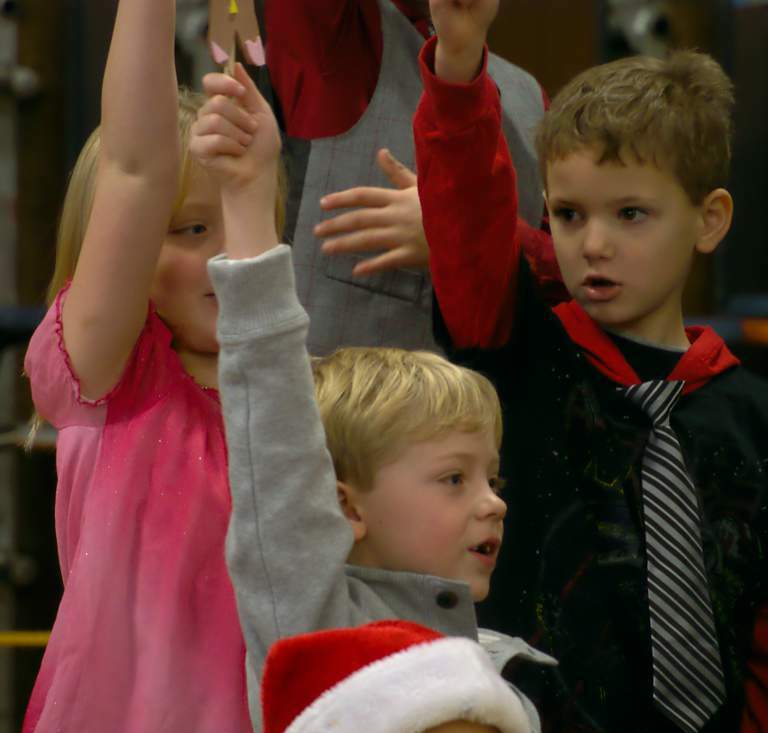 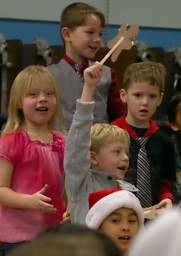 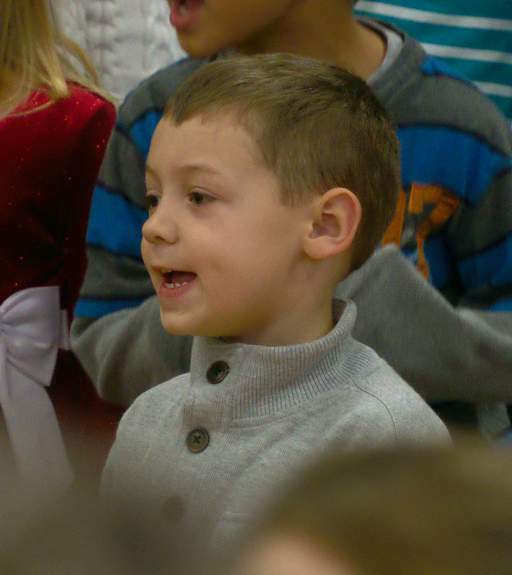 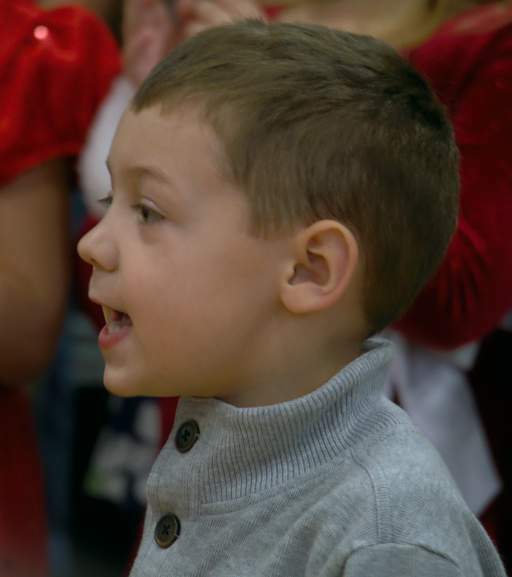 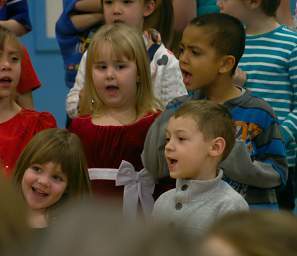 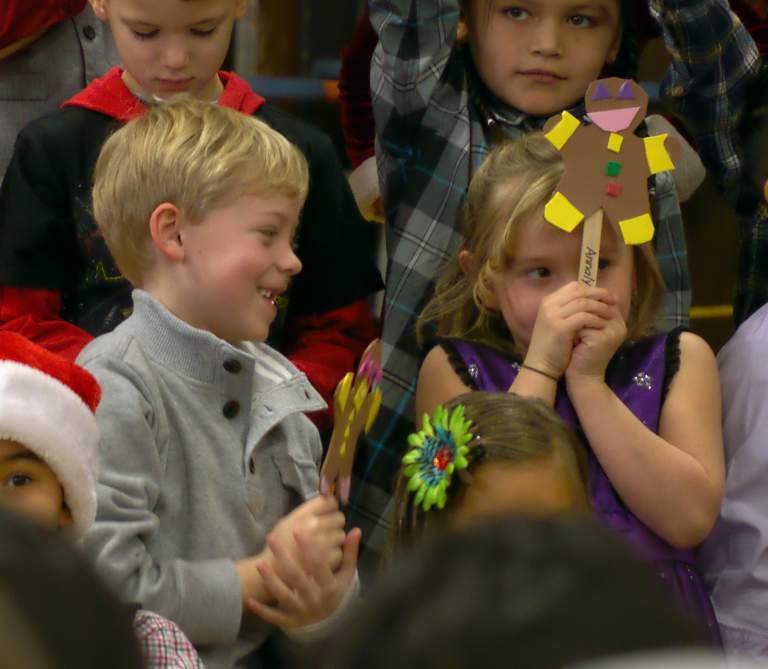 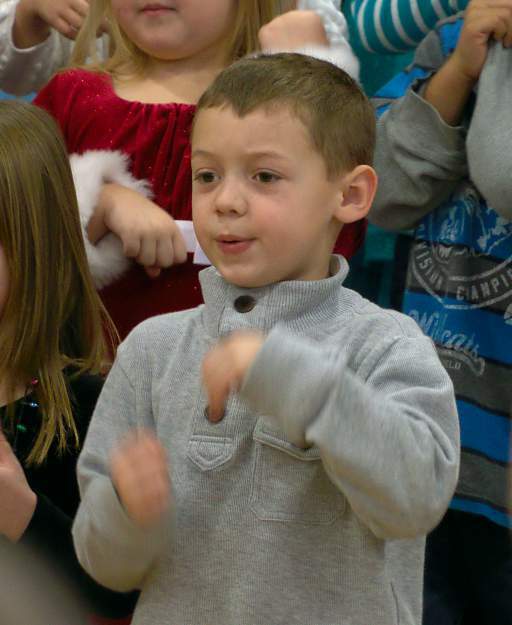 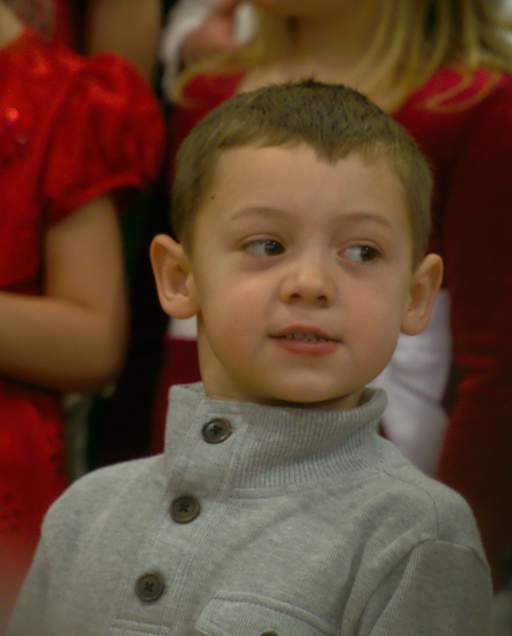 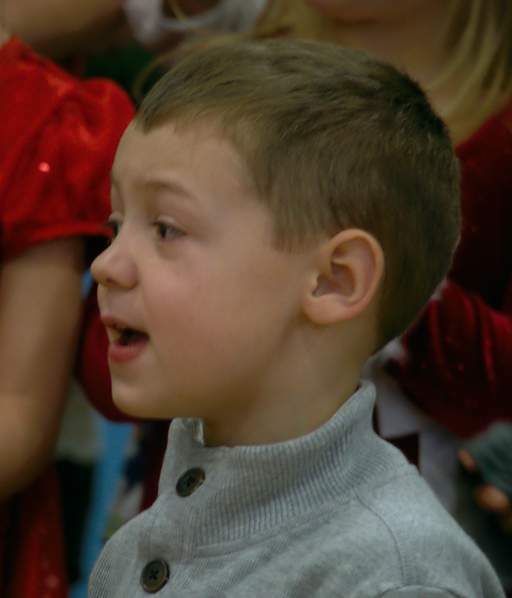 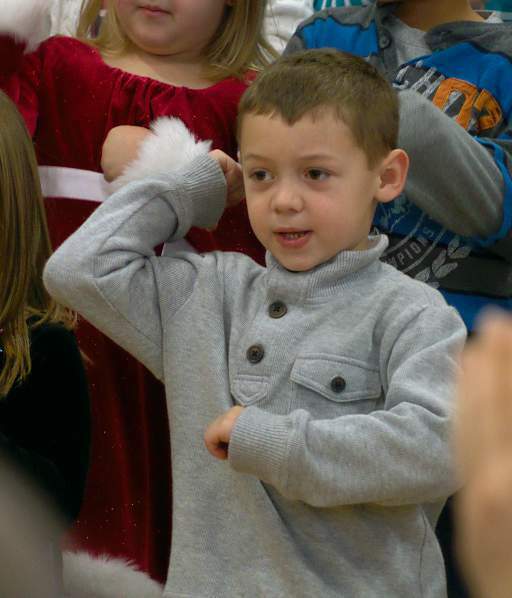 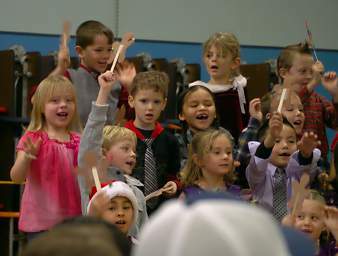 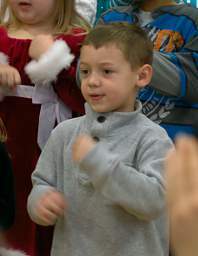 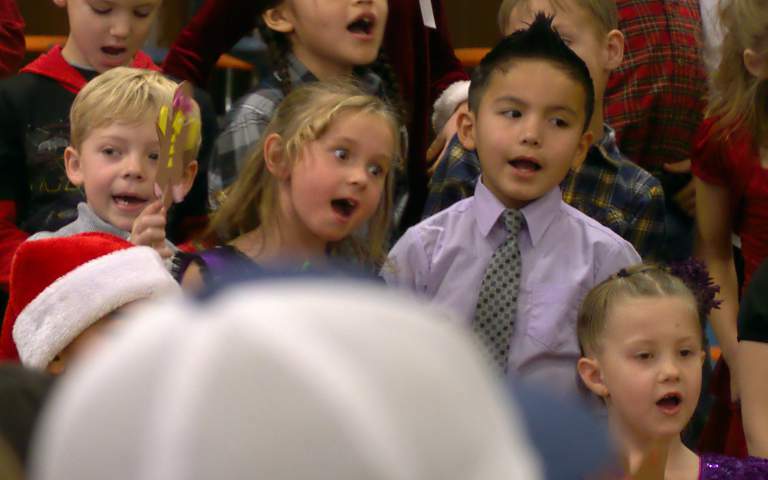 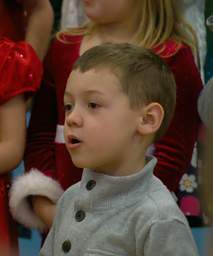 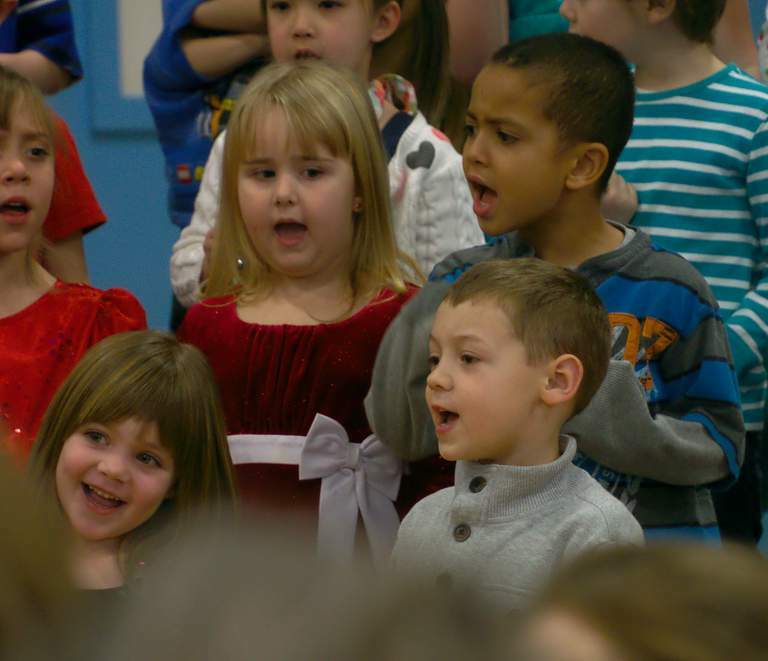 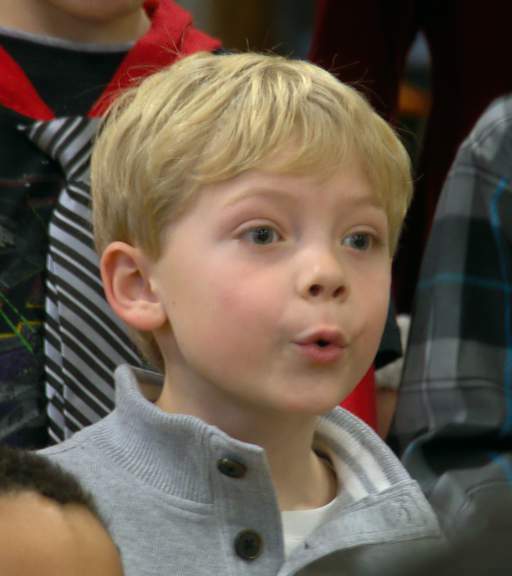 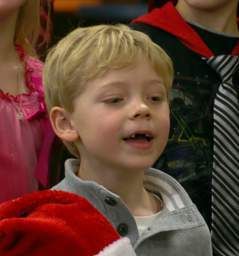 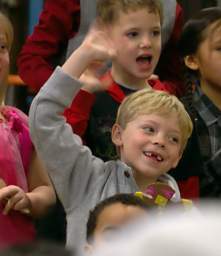 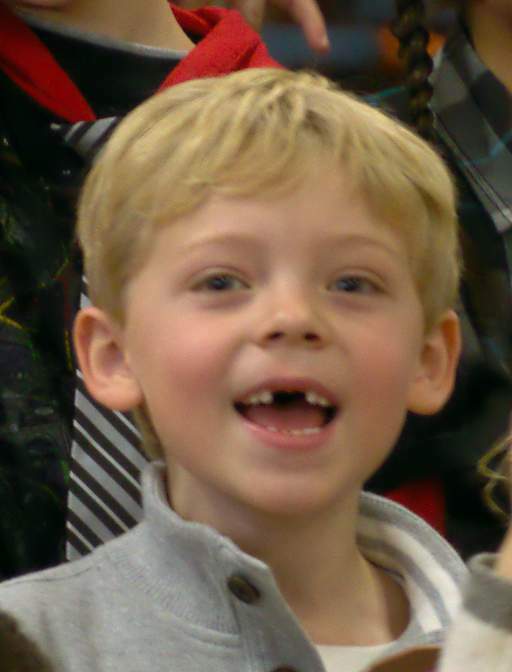 Aidan and Riley, two of our grandkids, had a holiday singing performance at their school. My hat is off to the teachers and music instructors -- it's hard for us to keep just our two occupied and attentive! 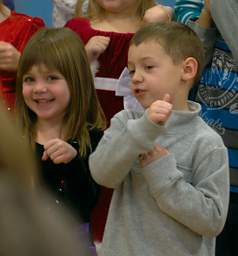 The Kindergarteners were not going to be able to stand still much longer, so we switched over to them. Five Golden Rings... Or was it Three French Hens? 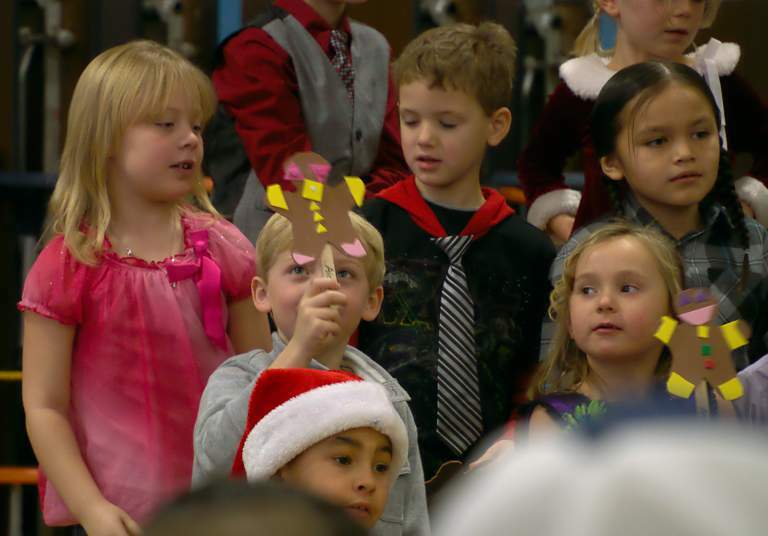 Two Turtle Doves? 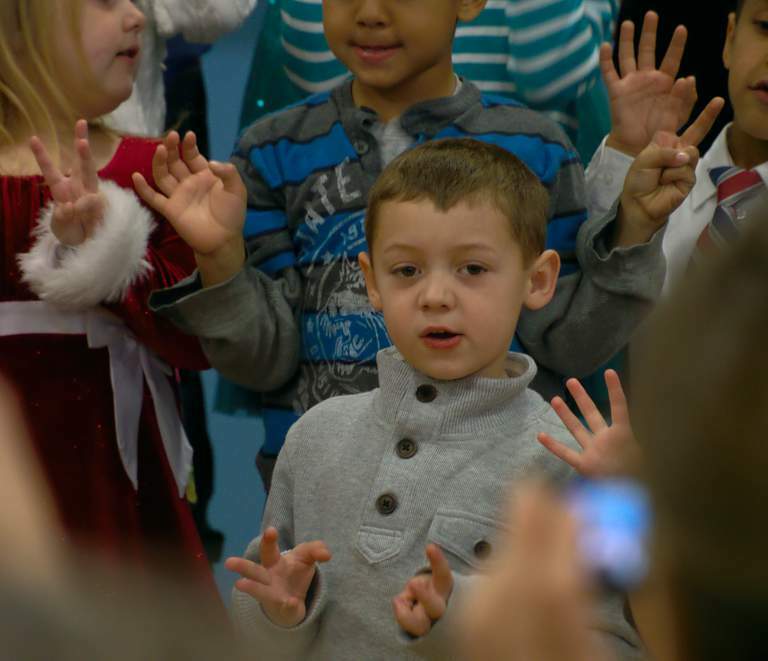 Definitely Five Golden Rings. for Four Calling Birds... We'll drown him out. 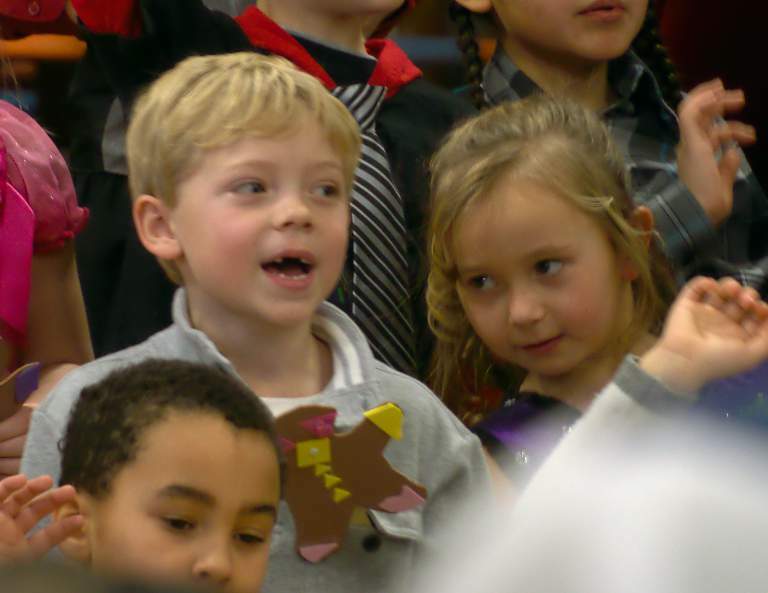 Hmmm, a critical eye or ear? 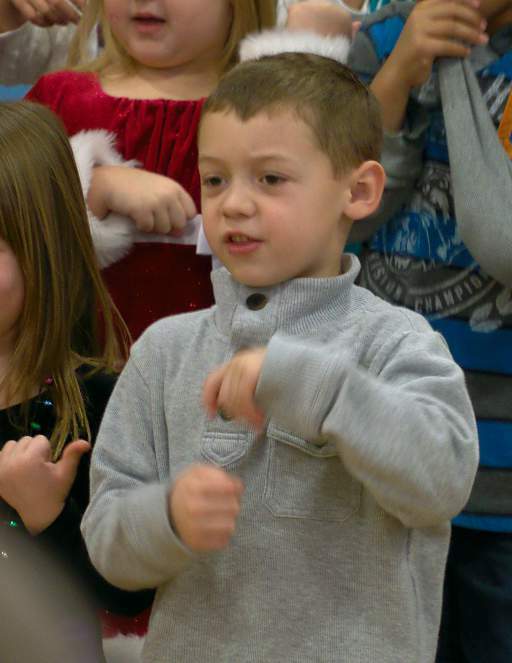 I can't remember which song it was, but Riley really got into the next one. So... which Magazine are we Modeling for? 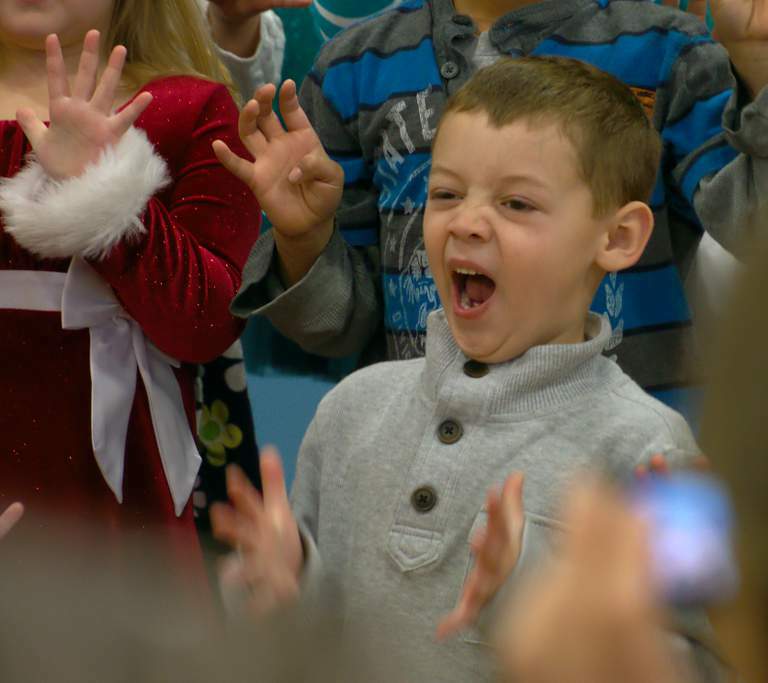 Uh-oh, the first graders are getting restless, time to switch back. 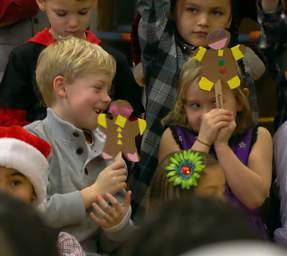 Nice Gingerbread Man, Aidan! Huh, what's so great about his? Enthusiasm is a great thing. 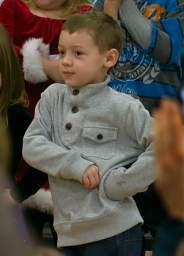 Go Santa! 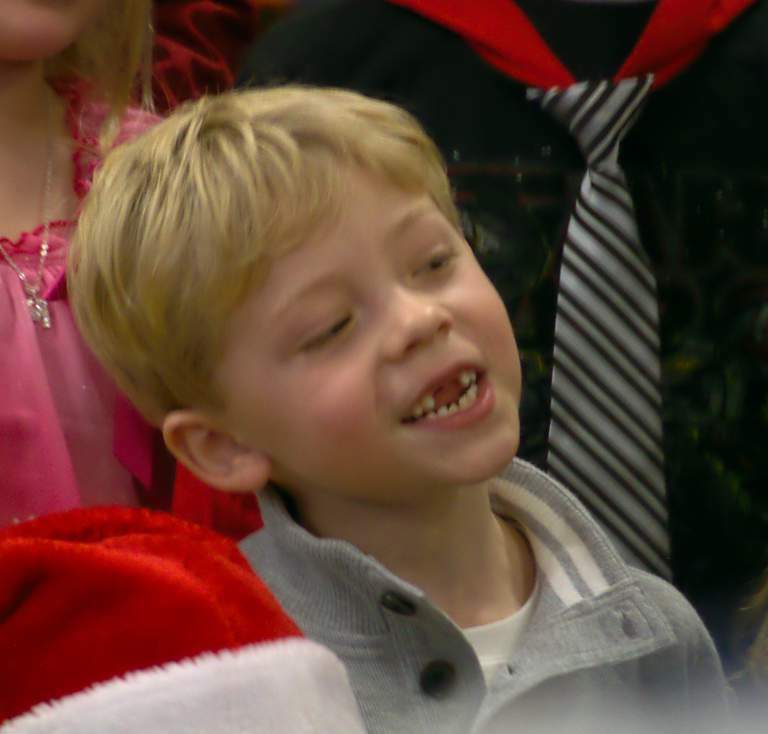 All I want for Christmas is my Two Front Teeth, yes my Two Front Teeth! 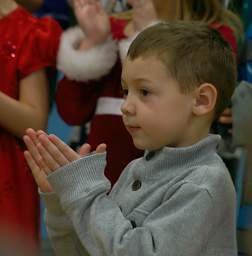 This page last updated on 2013-12-18.